You are invited to share a learning journey in a supportive community to be equipped for a lifetime of good practice and learning in growing fresh expressions of church. Whether you want to start a new fresh expression of church, or find a missional edge for your congregation, mission shaped ministry will encourage, equip and inspire. *Annual Season tickets are fully transferable , able to be shared around a congregation. Mission Shaped Ministry returns to Queensland in 2016. 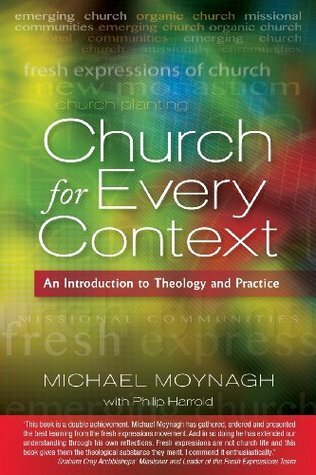 The course explores all aspects of imagining, starting and sustaining fresh expressions of church. The intro weekend is a compulsory kickstart into the full course, but can also be taken as a stand-alone “taster” if you’d like to start exploring Fresh Expressions but can’t make the full schedule work. 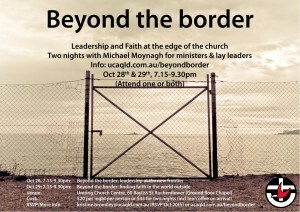 On 28th and 29th October, 2015, UK theologian and author leader Michael Moynagh joined us for two very special sessions exploring leadership and faith at and beyond the edges of the church. When we talk about fresh expressions, what are the implications for leadership? When we meet people on the edge or, or beyond the church, what does faith look like? 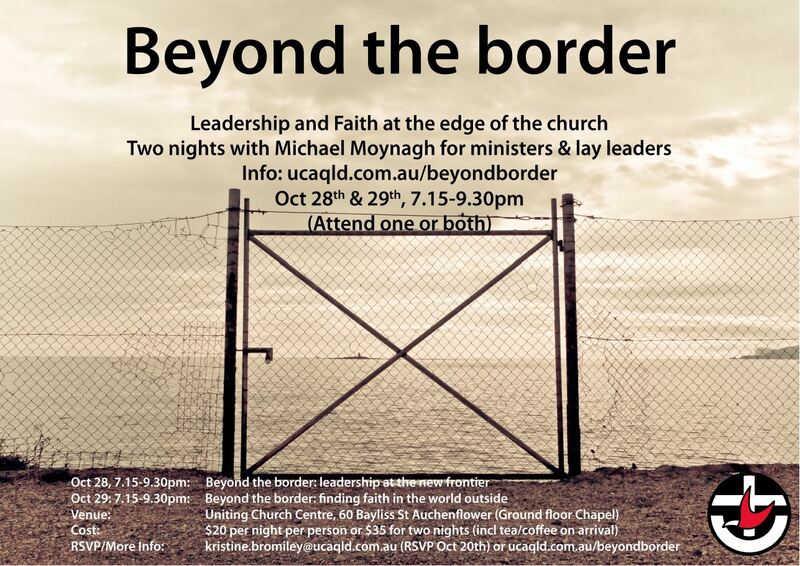 How can we grow faith in these “beyond the border” spaces? Whether you are a minister or a lay person, if you are interested in how we go beyond our borders to engage the world outside, these events will be valuable. Enjoy these two sessions with Michael. Recordings courtesy Trinity College Queensland. 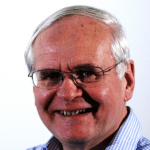 Revd Dr Michael Moynagh, based at Wycliffe Hall, Oxford, works for Fresh Expressions as Director of network development and Consultant on theology and practice. He is responsible for facilitating the development of networks of individuals leading fresh expressions of church, as well as drawing together and reflecting on all that is being learnt about fresh expressions of church. He also has a watching brief on theological education and research. 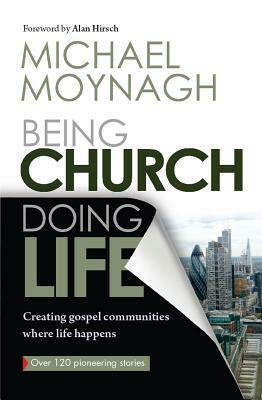 Michael’s written works include Being Church, Doing Life: Creating Gospel Communities where Life Happens and Church for Every Context. Last week we were joined by Mark Berry, who helped us think about discipleship in Fresh Expressions. While he was in Queensland, Mark also spoke on ‘new monasticism’ – or spiritual rhythms and practices that draw on the monastic traditions of old. It was a fascinating (and inspiring) session, and with thanks to Trinity College, the full video is available below. Modern missionaries is one title used to describe Urban Neighbours of Hope. They’re in some of the darkest places, hoping just to bring a ray of light. Or to “sing a new song over their neighbourhood”. This story is one worth watching – equal parts inspiring and devastating. What are the principles here that might help generate hope in your neighbourhood? Our UK visitor Mark Berry will be here over the next couple of weeks. He’ll join us for Mission Shaped Ministry on July 29th, where we’ll share dinner with Mark, and then explore Discipleship. If you have friends, colleagues or co-leaders who would like to join us for this evening, we can fit a few extras in. Let Scott know by email. The same day, from 3-5pm Mark will present on the topic of “new monasticism” (or intentional spiritual rhythms for faith communities) at Trinity College, Auchenflower. That event is a “no-cost” event and you’d be very welcome to join us. To RSVP, either email Wendi Sargeant, or head over to the facebook event page and sign up there. Our Wednesday night venue for all dates in May and June has changed. Welcome to the mission shaped ministry course in Queensland Australia. Here you will find all the information you need about the 2016 msm course being hosted in Queensland. For more information, contact (07) 3366 0236 or e-mail us.